Now I know there are things that can be done with carbon to bolster areas that can't be done with steel tube, but it seems to me that it's not all that far-fetched to do this. Yeah yeah: Go ahead and do it and let us all know how it turns out. Any thoughts other than that? Why? If I'm riding terrain that warrants a bigger volume tyre, I'm pretty sure I'm gonna want longer chainstays, not shorter. This fall into that category of "I've seen other brands do this so, it must be a good thing". 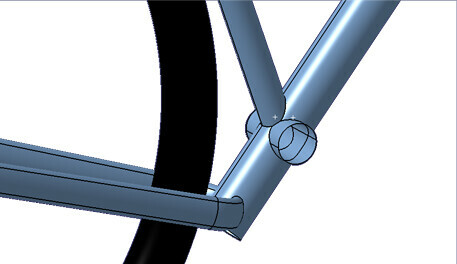 Looking at the geometry of the Cinelli online I am mystified. 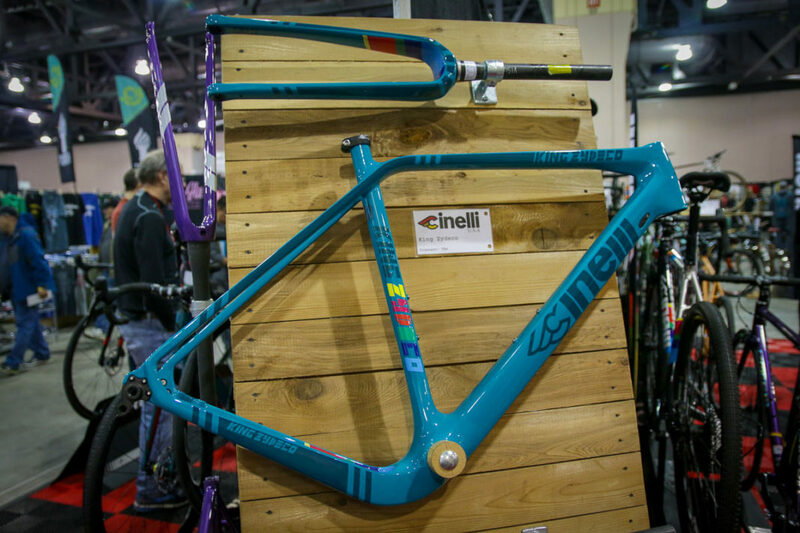 Cinelli lists the chainstay length of that bike as 407mm and I cannot believe it. 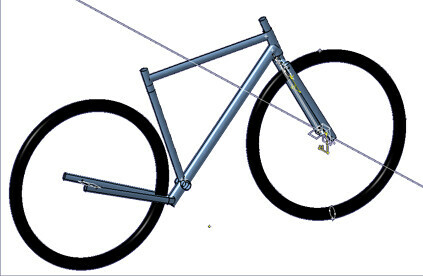 To get a bike that has a similar wheel gap as the bicycle on their web page I have to use chain stay lengths of at least 430mm in bikecad. At 407mm a 650b x 52mm tire is inside the seat tube. Because I have end of month accounts to do, I spent too long looking at this. A quick and dirty import into BikeCAD and assuming the wheels on the Cinelli pic are 650B X 52mm, to get the same wheel gap, I need to use 455mm stays! I call BS. How about considering this: Form vs Function. Function: You potentially solve your tire clearance issue without using a yoke and you forego a greater understanding of the constraints of forming tubes to achieve the same end. - A relatively simple tube intersection now becomes a bit more complicated with multiple intersections. 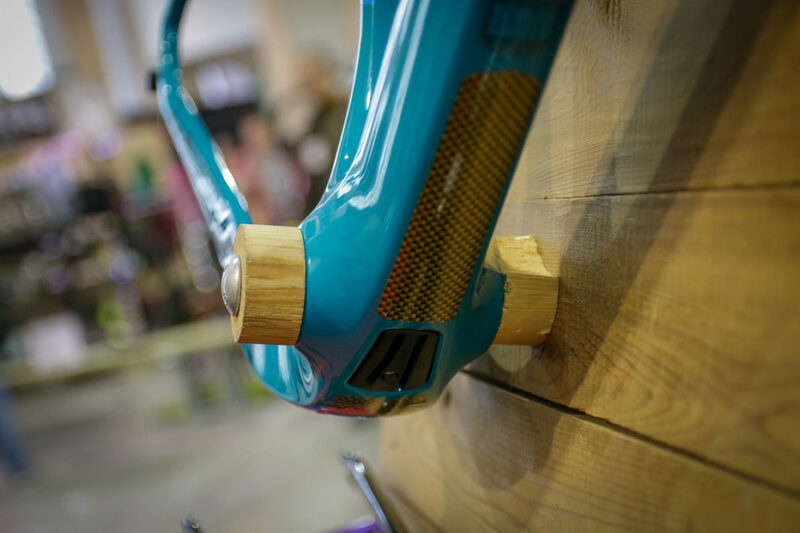 - Increased weld around the entire bottom bracket so keeping the BB round would be of concern. - Does that long tube extension now act as a shelf for crud/buildup which is inherent in mixed terrain? From a pure Form view, and this is subjective: One is left wanting in terms of attempting to please the eye. From my own perspective, both form and function play an important symbiotic role. Both inform one another and I'd argue both must be considered. If one is at the expense of the other, look to reevaluate the solution. And yes, part of the discussion with these types of bikes is just how short a chainstay length is beneficial. From what I've found on these types of bikes, shorter has a state of diminished returns with ride quality, mud/tire clearance, drive train performance and drivetrain longevity. Short Chainstay 29er - Chainstay Bridge (yes or no)? chainstay bridge / bb flex additional thoughts? Brrrr....it dropped to the mid-high 60's!